Your in a room with 5 items. There is a mirror, flower pot, bed, chair, and a calendar. There is also a cabinet that is full of food, and a fridge full of drinks. There are also stairs that lead to nowhere, so they are no use. How could you get out? You just walk out the door! 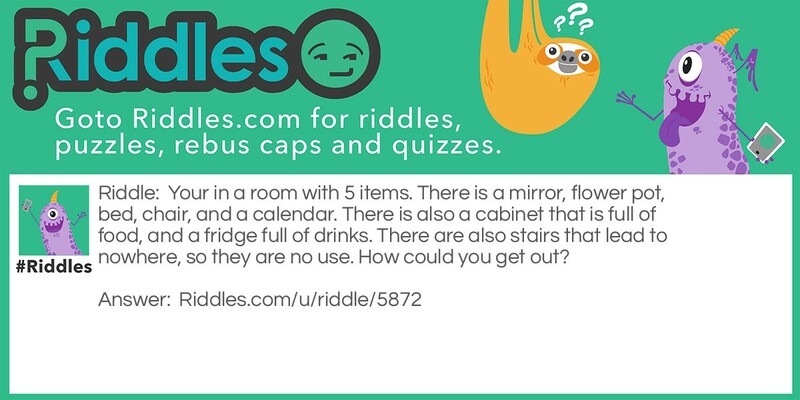 Trapped........ Again Riddle Meme with riddle and answer page link.